For almost three years, I have been thinking of writing a very private mail to you, but given the administrative challenges and stories of you never replying to letters, especially those that contain ideas that are not music to your ears, I have opted to talk to you through an open letter. For more than three decades, you have been telling Cameroonians that you are aware that they are suffering and that you would do anything in your power to improve upon their economic and financial circumstances, but for more than three decades, not much has changed and Cameroonians earnestly think that they are already living in hell. Across the country, there are complaints of economic hardship. Our parents have worked and retired on derisory incomes. Their retirement benefits are just too small for many of them to survive for a long time. Besides the amount of money they receive for their pension, there is also the issue of getting the money when they need it the most. It has become normal in Cameroon for people to retire and go without their retirement income for years. I can vividly recall that when you came to power in October 1982, you promised that the issues at the Ministry of Finance would be promptly addressed. I was in high school at the time and for more than 36 years after you made that promise, things at the Ministry of Finance have changed, but for the worse, making it hard for some of our compatriots to live a decent life after retirement. During your 36 years in power, I have already worked for almost three decades. I have worked in the private sector and I have also worked as a civil servants in Cameroon’s public service. I have worked at the international level and I am today winding down as I have less than a decade to work. If I were still in Cameroon, I would be heading out of the civil service in Cameroon for retirement while you will still be in power. The issues you promised to address have endured and for 36 years, you have conducted state affairs in a manner that leaves much to be desired. The story is that you have no regard for the people you government and these are the people who were very happy to see you accede your country’s highest office. Well, Cameroonians are used to tolerating a lot and they have learned to put up with the corruption and inefficiency that have become your regime’s hallmark. But over the last five years, your complacency has hit new highs with millions of young Cameroonians looking outward for opportunities. It is rare today for young Cameroonians to hold that they have a place in the country you rule. Cameroon is no longer a good place for the poor and millions of our young men and women are heading abroad for greener pastures. The brain drain in Cameroon calls for significant economic reforms. A country can only develop if its resources are used internally and if the people have faith in the system. Looking at those who surround you, it is clear that your regime prioritizes the old over the young. Your collaborators have been in the corridors of power for decades and this has resulted in them developing a do-nothing attitude. Your ministers are people who have, on many occasion, been indicated by the public of corruption and their ages make it hard for them to deliver the goods Cameroonians have been looking forward to for more than three decades. I know if I were in Cameroon, you would still be considering me as a young person, though I am in my mid-fifties. This is not fair to our young men and women who are a lot smarter than people of your generation. As most economies become digital, it is but normal for our young men to be given a greater say in the management of state affairs. But this is not where it hurts the most. It is the political and military chaos that have put our country in the spotlight that are compelling me to send you this letter. For almost three years, the former West Cameroon has been in the spotlight for all the wrong reasons. 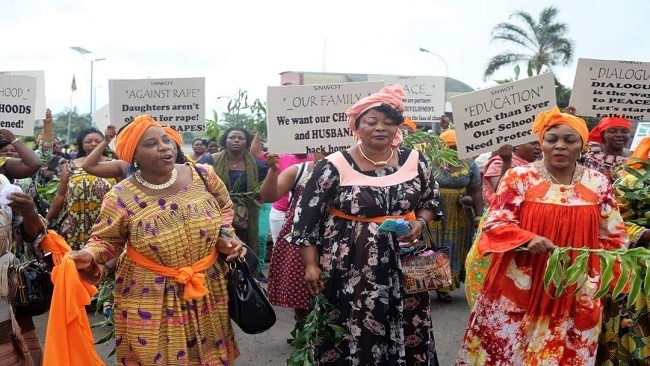 A peaceful strike by teachers and lawyers in 2016 has finally morphed into a civil war that might tear the country apart if you continue to pursue you military actions in the region. Today, the military under the instruction of the defense minister, Joseph Beti Assomou, has engaged in a scorch earth policy that will cost the government – I mean the one after you – tons of money to rebuild some of the infrastructure that your soldiers are destroying in West Cameroon. Hospitals, schools, prisons, private homes and other facilities are being burnt down by your soldiers in the hope that the people will yield. I wish you and your military could understand that you never win a war. You seek to win peace and that should be your approach and objective at your age. You have nothing to prove and no power, no money and no wealth should excite you at 87. Your military has sent innocent Cameroonian civilians into exile. Thousands of women and children are living rough in Nigeria. Thousands are hiding in the bushes for fear of being killed by soldiers who are supposed to be protecting them. Children are being born in these jungles and many do not have access to clean drinking water. Does this not bother you as a father and grandfather? Thousands of English-speaking Cameroonian children are currently not going to school and this does not seem to bother you and your government. 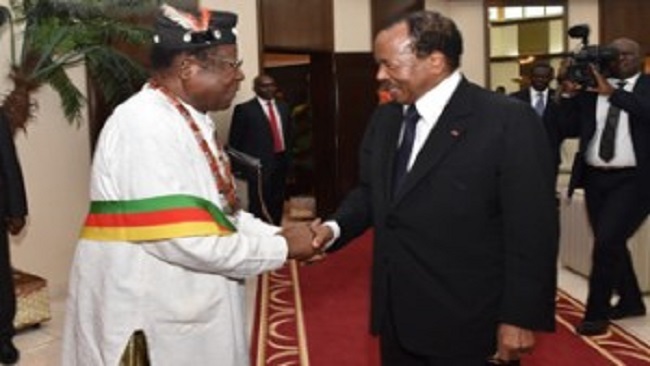 I thought at your age, your cardinal objective should be to ensure that after you, Cameroon continues to exist as a single geo-political entity that will make its people proud and happy to be living in such a lovely and rich country. Thousands of English-speaking Cameroonians are today internally displaced. Many have been shot and killed by your soldiers for no just reason. Many women and men of your age have been roasted to death just because they were incapable of running away when your army showed up at their doors. I thought old age should be that moment when people should enjoy some serenity and peace. But your soldiers have proven that they have no regard for the old. Where have we kept that respect and love for the old that make Africa the envy of the world? But in the English-speaking regions of today, your soldiers have made old age a crime for which its punishment is burning while alive. Why have you unleashed such a violent reign of terror on your own people? Why have you allowed a small difference of opinion to morph into such a violent war where killing has become a sport in Cameroon; a sport in which your soldiers are excelling? What have Cameroonians done to deserve such treatment? I am a witness of history and I can say, without fear of contradiction that your fellow countrymen considered you in 1982 as the best thing to have happened to their country. Today, they all are looking back in anger. Parents are weeping for the loss of their children. Children are weeping for the loss of their parents. Entire villages and towns are mourning because of the crimes your soldiers have committed against the people. How do you think it will be possible for this people to live with you in the same country after all the pain and suffering you have inflicted on them? As a child growing up, I was made to understand that with age, I should instead be thinking of making peace and ensuring that those who will live after me do not go through what I have gone through. For close to three years, I have watched you very closely. I have listened to your speeches with rapt attention and I have been reflecting on whether age really brings wisdom to everybody. I would like to use this medium to advise that you have not conducted yourself as that person who is supposed to make our country an oasis of peace. Your actions over the last three years have clearly shown that you want to take the country down with you. You should have proven that you are a man of peace by listen to calls from the international community for a peaceful and inclusive dialogue. While you may be right that Cameroon cannot be allowed to be fragmented on linguistic lines, I would be prompt at pointing out that if you had listened to the voices of frustration right from the beginning, we would have spared our country the agony that might last for centuries. If you do not listen to a people, you might never understand their frustrations. If you do not listen to them, you might never convince them that the path they are walking is not the most appropriate for them and their kids. Instead of unleashing a reign of terror on them, I think you should have used your high office to ensure all the children of Cameroon live in peace and harmony by listening to each and every one of them and providing strict guidance on how to make things better for every Cameroonian. Today, Cameroon is imploding. 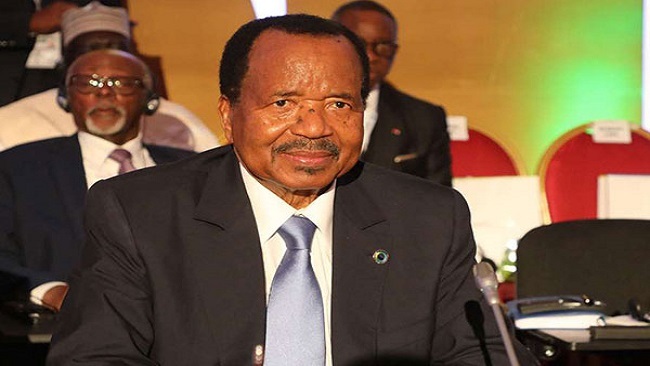 There is no way English-speaking Cameroonians will ever feel comfortable in a country that sees them as second-class citizens and intimidates them into silence. While we all are hankering after peace as you said in New York in 2017, I would like to point out that negotiated peace is the type of peace that can last a lifetime. Imposed peace never lasts. It will collapse like a pack of cards even before it gets implemented. A lot might have gone wrong, but there is still time for us, as citizens of the same country, to take a look at what has gone wrong in our country with the objective of making amends. We should be looking back, but not in anger as anger is a bad master. We should be looking back with a view to fixing what is broken and to addressing those things that have caused a lot of frustration in our country. Mr. President, walking the path of peace is not a weakness. Despite the long time he spent in jail, Nelson Mandela decided to walk the path of peace so as to give future generations a greater chance at life. He did not call for war because a lot of injustice had been committed against him. He understood that nobody has ever won a war. It takes a lot of wisdom, a lot of selflessness and a lot of determination to understand that it is peace that should be our goal and not war. It is not too late for you to reverse your declaration of war against the English-speaking population of the country. Great men are not just those who have lasted long in power. Great men are people with noble minds. While you are still alive and you have some authority – although those around you are manipulating things – I would urge you to embrace the inclusive dialogue that many have exhorted you to embrace. No killings or burning of homes will make thing better. Talk to the people of the North West and Southwest regions directly. Talk to them from your heart. Let them know that mistakes have been made. Sue for peace. Suing for peace is not a sign of weakness. Only people with noble minds have the courage to choose peace over war. You can do it. You still have the time to achieve something that will make Cameroon great again. I look forward to a prompt reaction from you and your government.